Adventures By The Sea has five locations on the Monterey Peninsula for adventure. 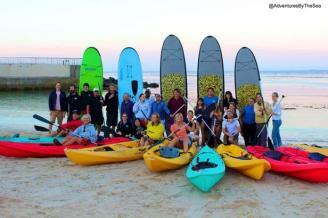 In addition to our five locations, we provide kayak and standup paddle tours at Stillwater Cove in Pebble Beach. Come join us for kayaking with the otters, biking 17-Mile Drive, surrey rentals and standup paddling in and around the Monterey Bay. Flash Your Badge for $3.00 off!